Subnautica: Below Zero is packed full of blueprints for you to discover. Some are given to you as you progress, while others require you to hunt pieces down. In this quick guide, we’ll show you how to research the Grav Trap. 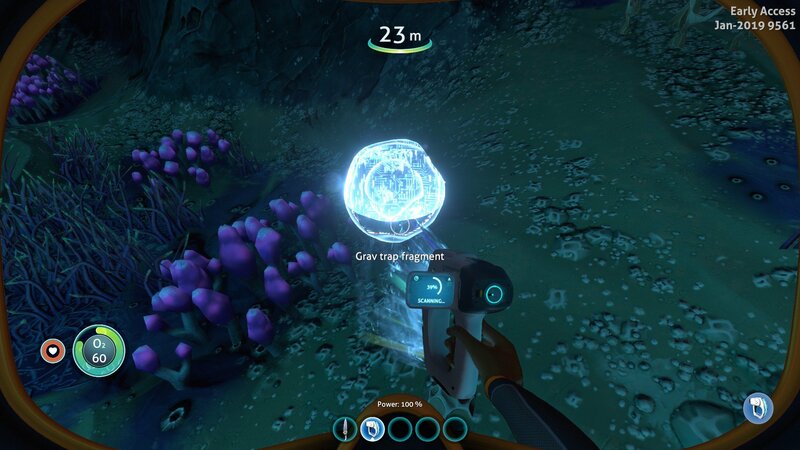 Still stuck, why not check out our other Subnautica: Below Zero guides? You can find them right here at Pwrdown! As you’re exploring this new world, you’ll notice Grav Trap scraps pretty early on. They are commonly found on the sea bed and are shaped like pearls. To be able to start researching them, you’ll need to build a scanner. Next, approach the salvaged tech and hold down your mouse button to begin scanning. Completing the scan will add to your percentage. Once you reach 100% it will be unlocked for you. From there, head back to a crafting station and start building.